The Domino A.L.C. 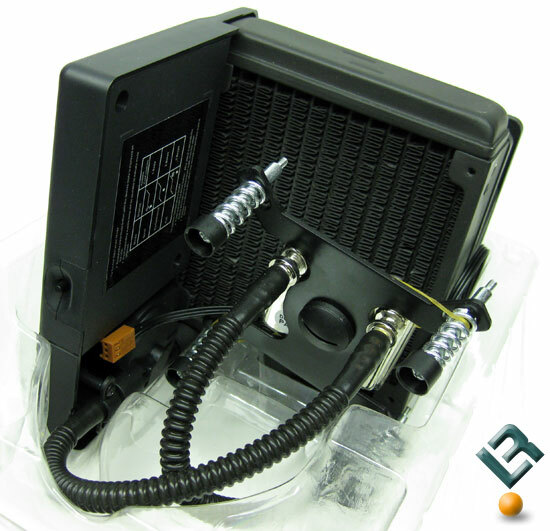 is factory sealed ready to be quickly and easily installed, so the retail box is modest sized as the water cooler is already plumbed and ready to go when you open the box. The CoolIT Domino A.L.C. packaging shows all the important features and even has pictures to help you quickly see what the product is designed to do. 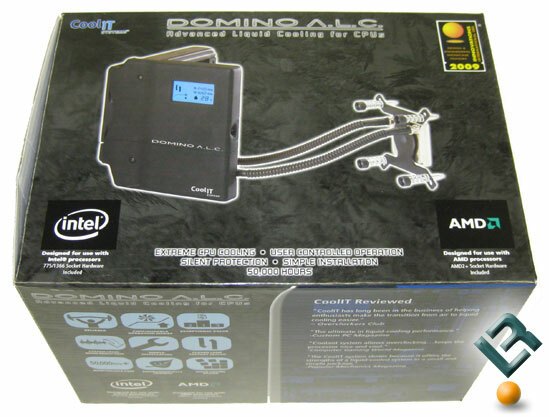 A couple of quotes from past reviews on CoolIT products were included from various review sites, but sadly no quotes from our Eliminator CPU Cooler, Pure CPU Cooler or our USB Beverage Chiller reviews made it. Removing the Domino A.L.C. 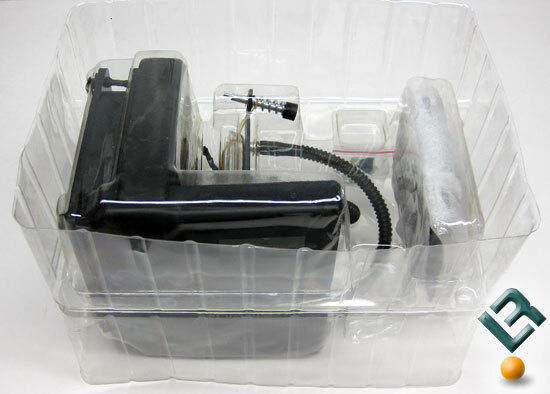 from the box you will find the cooler safely packed in a clam shell that prevents things from banging around when being shipped to you. A few minor imperfections were still observed on the radiator cooling fins as you can see from the image above, but they were easily straightened out using a small flat head screwdriver. Notice that everything is assembled and ready to go the second you open the box. The rubber band that is on the water block is to hold a plastic cover over the already applied thermal interface material, but I cleaned that off in order to use Arctic Silver thermal compound. This was done to keep the testing numbers consistent as no two thermal compound brands are identical. Now that we know what we will be looking at today we can take the Domino A.L.C. out of the box and give you a better look at how it works.